Some audio clips from the CD have been posted, in MP3 format. The clips are about a minute long, and go to the first bridge in the songs. If you’d like to buy a CD, click here to send me an e-mail and I’ll get back to you. CDs are $15 each. Bulk orders (two or more) are $12.50 each. 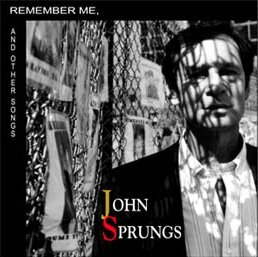 You may also want to check out the website for John’s distributor at www.cdbaby.com/cd/sprungjohn You can hear two-minute cuts from all the songs on the CD, order via credit card, plus write reviews. In addition, you can access a wide variety of other artists from the same or similar genres. “Traditions,” now in its 25th year, is the longest running program on WFDU, and features a broad and diverse look into the world of folk music, both traditional and contemporary. Over the years, Ron’s guests have included some of the most important and well known voices in folk music. You are currently browsing the FolkLaw Productions blog archives for May, 2005.